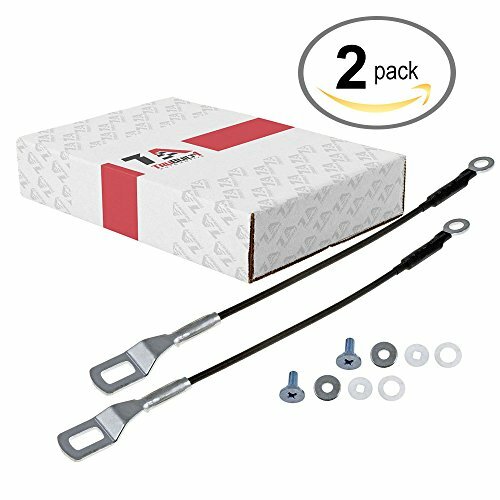 Your search for the highest quality, best value replacement tailgate cables (pair) for your Toyota Tacoma 1995-2003 is over. Now that you've purchased the best aftermarket part you'll probably be excited to install the part immediately. However, pull the new tailgate cables out of the box and take a moment to notice the quality part that's in your hands. Note the fit and finish of a superior built part, a TruBuilt part, built to last & go the distance. You're holding a OEM supplier part that's built in a ISO 9001 certified factory & tested for reliability. Our OEM spec replacement tailgate supports are designed to provide maximum performance and durability while being budget minded. Rejoice at the way it fits and works perfectly like the original part. -If you're not 100% satisfied with your purchase, send it back and we'll refund or replace your part. Full 12 month replacement warranty & 30 day money back. So order now, and when you do, consider buying a second for your other vehicle or your best friend. 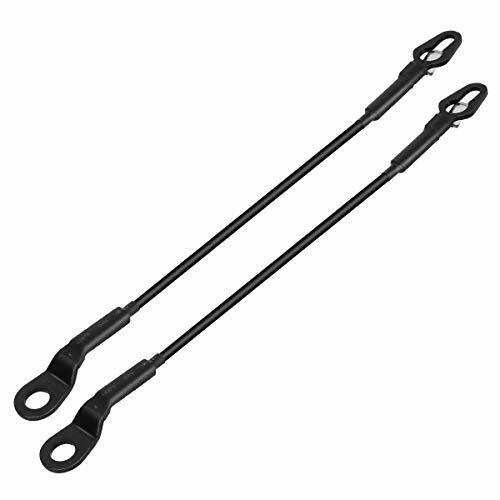 Includes 1 pair of left and right rear 14 9/16 inch length tailgate cable supports for Toyota Tacoma Pickup Trucks. Replaces Toyota part number 65770-04030. Fits 95-03 Toyota Tacoma Pickups at a fraction of the dealer's price! Stress tested to guarantee long life and to ensure OEM fit, finish & increased rigidity and feel. 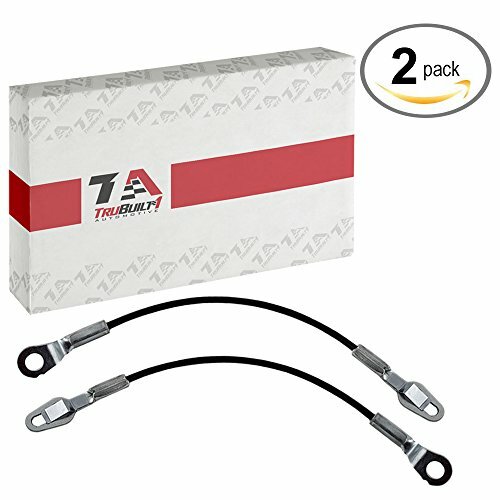 Every T1A direct fit replacement tailgate support cable is backed by our industry leading 12-month warranty. If you are not 100% satisfied with your purchase, simply take advantage of our No Questions Asked, 30-Day Money Back Guarantee! 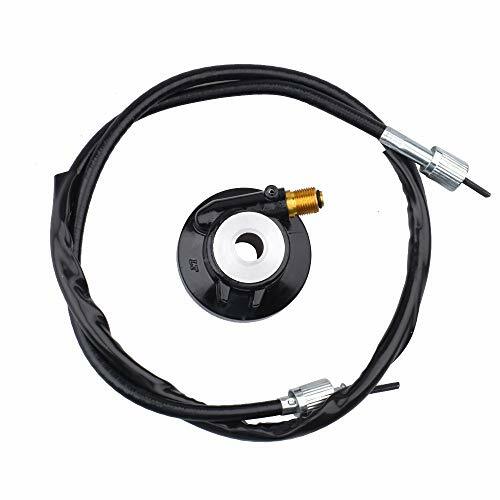 Don't ruin your tailgate party with a floppy tailgate, party on with this Help 15 1/8-inch tailgate cable. It is best to replace cables in pairs to prevent expensive damage to your tailgate. 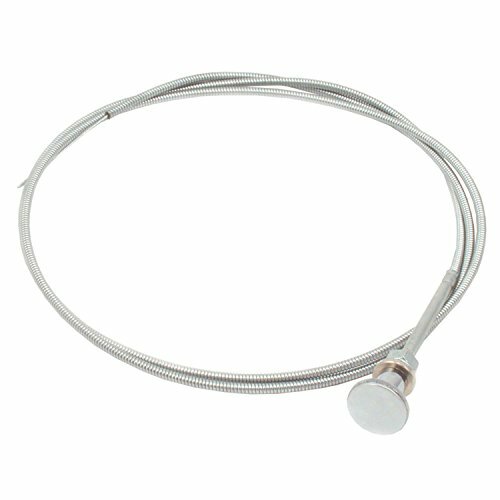 The length of cable is measured from center to center of end loops for a correct fit. Help tailgate cables work on either the left or right side. 1.Take off panel and hood latch lever completely.This is either held in place with 2 plastic snaps,it can be popped of with a regular screwdriver. 2.Trim approximately 1' of plastic from around the end of the cable.Use a pipe or tube cutter, score the very hard plastic the proper depth and remove,however,do not cut the metal cable inside of the plastic . Benefits:The surface pattern of each handle is laser-engraved and can be used for a long time.Anti-oxidation, anti-corrosion. 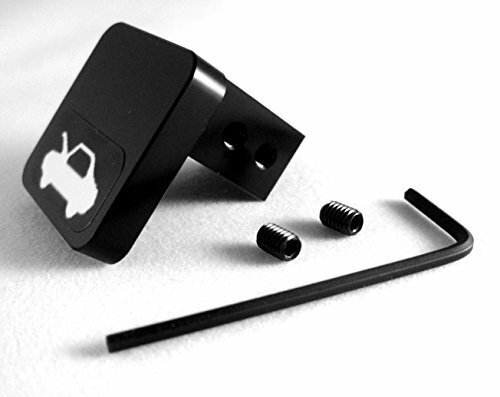 Feature:Made of premium billet aluminum,We use an anodizing black treatment for each repair kit. 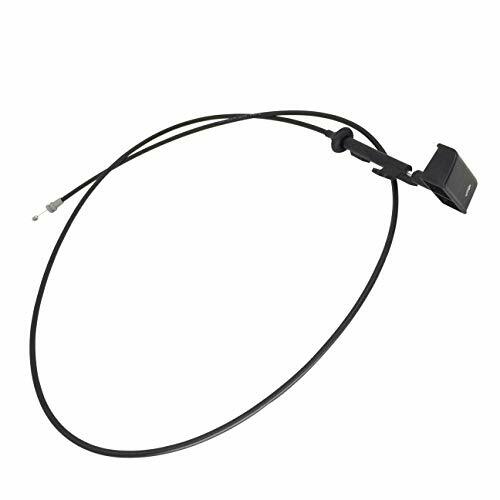 Genuine Red Hound Auto Premium Door Latch Cable. 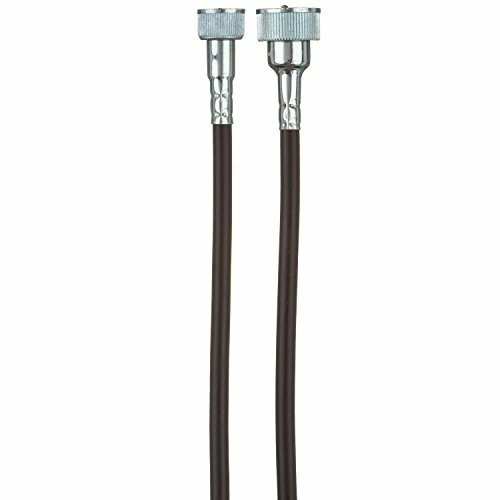 We produce the highest quality custom fit replacement latch cables on the market. Our ultra tough material stands up to the harshest conditions. These cables are covered by Red Hound Auto's 1 year guarantee, as they're the strongest, longest lasting cables available! 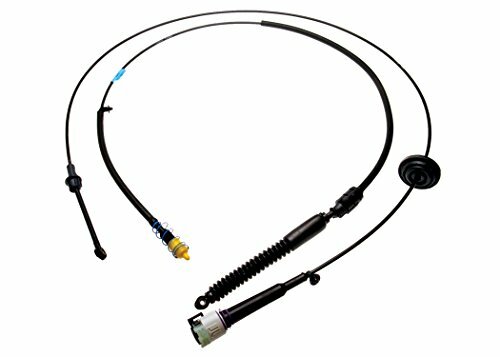 This premium cable was precision designed to fit the your vehicle perfectly and last a lifetime while doing it! 1 year Guarantee against workmanship and defects for the original owner. 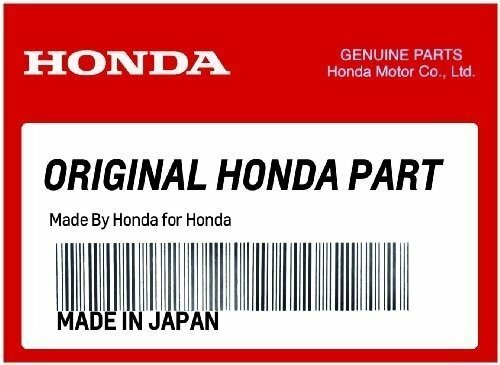 Compatible with: 2003 - 2007 Honda Accord SEDAN; FRONT PASSENGER side only (WILL NOT FIT ANY OTHER DOOR) Reference Info: 72131-SDA-A02 / 72131SDAA02. 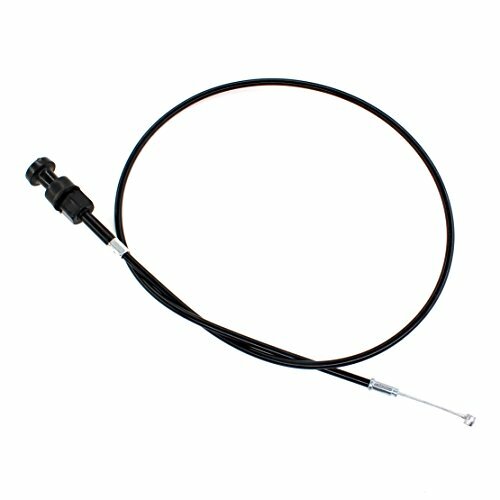 This premium cable was precision designed to fit the your vehicle perfectly and last a lifetime while doing it! 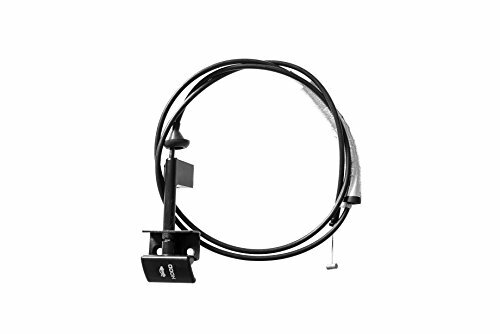 Fits: 1992-96 Ford Bronco Hood Release Cable with Handle; 1992-96 Ford F150 Truck Hood Release Cable with Handle; 1992-96 Ford F250 Truck Hood Release Cable with Handle; 1997 Ford F250 Truck Over 8500LB GVW; 1992-97 Ford F350 Truck Hood Release Cable with Handle; 1992-97 Ford F53 Hood Release Cable with Handle. Truck TailGate Tail Gate Rear Support Cable Strap Pair SILVERADO SIERRA PickUp. PN:BIA281002, 281002. OE Numbers: 16637944 + 16637945. InterChange PN: 88892972 + 88892973 + 88980509 + 88980510. Other PN's: 38536. Length: 15-1/8". Number of Cables: 2. 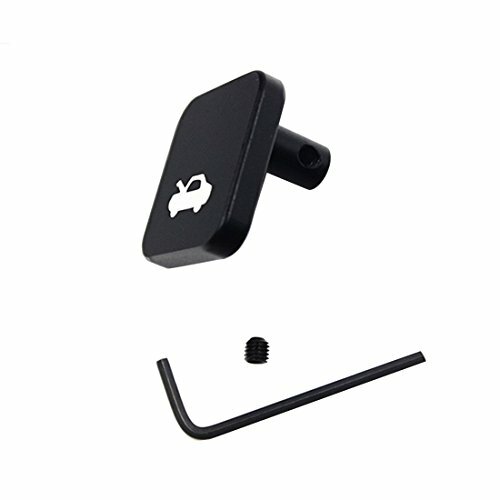 FITS: 2002 - 2006 CADILLAC ESCALADE // 2002 - 2006 CHEVROLET AVALANCHE 1500 // 2002 - 2006 CHEVROLET AVALANCHE 2500 // 1999 - 2006 CHEVROLET SILVERADO 1500 // 2007 CHEVROLET SILVERADO 1500 CLASSIC // 1999 - 2004 CHEVROLET SILVERADO 2500 // 2001 - 2006 CHEVROLET SILVERADO 2500 HD // 2007 CHEVROLET SILVERADO 2500 HD CLASSIC // 2001 - 2006 CHEVROLET SILVERADO 3500 // 2007 CHEVROLET SILVERADO 3500 CLASSIC // 1999 - 2006 GMC SIERRA 1500 // 2007 GMC SIERRA 1500 CLASSIC // 1999 - 2004 GMC SIERRA 2500/ 2001 - 2006 GMC SIERRA 2500 HD // 2007 GMC SIERRA 2500 HD CLASSIC // 2001 - 2006 GMC SIERRA 3500 // 2007 GMC SIERRA 3500 CLASSIC // 2003 - 2006 HUMMER H2. 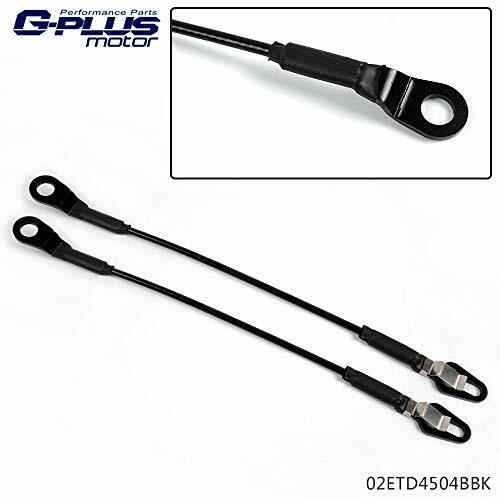 Specifications: Replaces GM Part Number: 16637944 16637945 88892972 88892973 88980509 88980510. 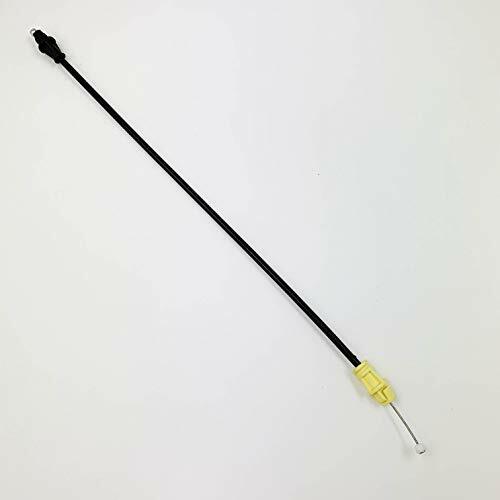 Product Size:Cable: 15 1/8 Inches Long (Measured from center of end loops) Product Includes: 1 pair tailgate cables Warranty: 12-month, 30 day money back guarantee. Note: If you have any questions, please feel free to tell us. 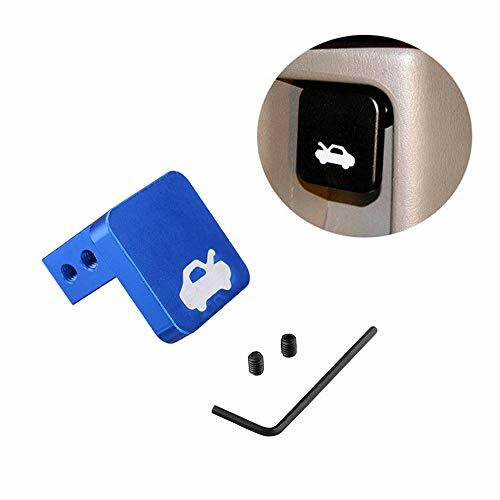 Fits Model and Year: For 2002-2006 Cadillac Escalade Base Sport Utility For 2002-2006 Chevrolet Avalanche 1500 For 2002-2006 Chevrolet Avalanche 2500 For 1999-2006 Chevrolet Silverado 1500 For 1999-2004 Chevrolet Silverado 2500 For 2001-2006 Chevrolet Silverado 2500 HD For 2001-2006 Chevrolet Silverado 3500 For 1999-2006 GMC Sierra 1500 For 1999-2004 GMC Sierra 2500 For 2001-2006 GMC Sierra 2500 HD For 2001-2006 GMC Sierra 3500 For 2003-2006 Hummer H2 Please confirm your vehicle model before purchase. 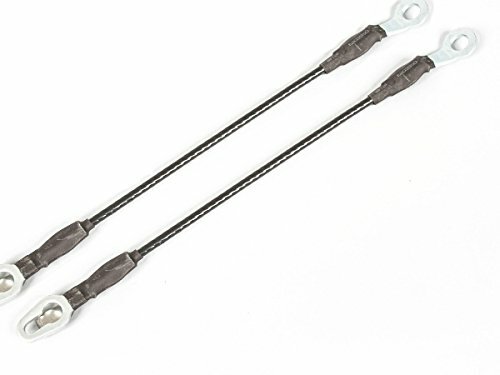 FITMENT - 1 pair of left and right side 15 1/8" length tailgate cables compatible for 1999-2006 Chevy Silverado, Avalanche, GMC Sierra, Cadillac Escalade, Hummer H2. 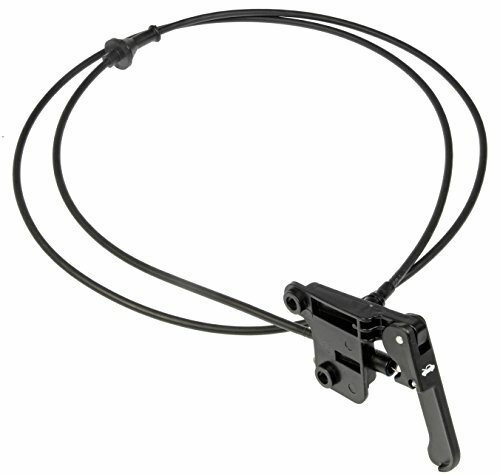 REPLACEMENT - Replaces Part Number: 16637944 16637945 88892972 88892973 88980509 88980510. WHAT YOU GET - 1 pair of tailgate cables coated with durable weather resistant rubber, rugged security, please rest assured to purchase. 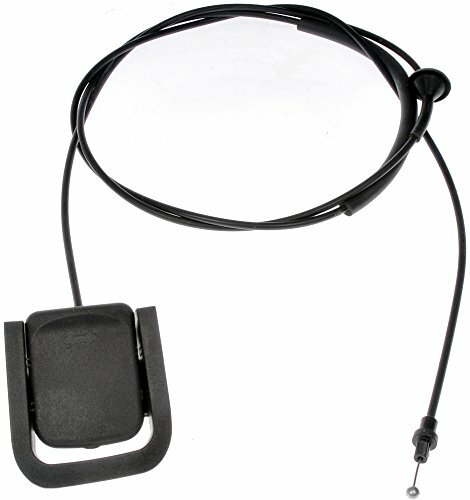 IMPORTANT NOTE - Direct fit replacement tailgate cable, 12-month warranty. If you are not satisfied with your purchase, simply take advantage of our no questions asked, 30 day money back guarantee. Machined from a single block of 6061 billet Aluminum. Includes written instructions with photos, aluminum handle, 2 set screws, Allen hex key. Speedometer cables connect the speedometer to the transmission. Old cables can bind, break, or just become sluggish. The best repair is to replace the old cable with a new one. 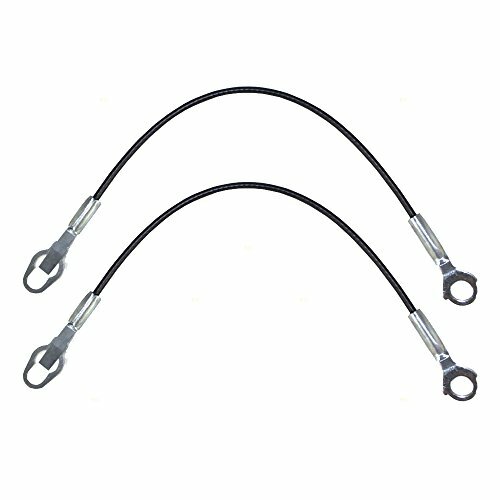 ATP Speedometer cables are designed to fit and function just like the original part to ensure durability and long life. 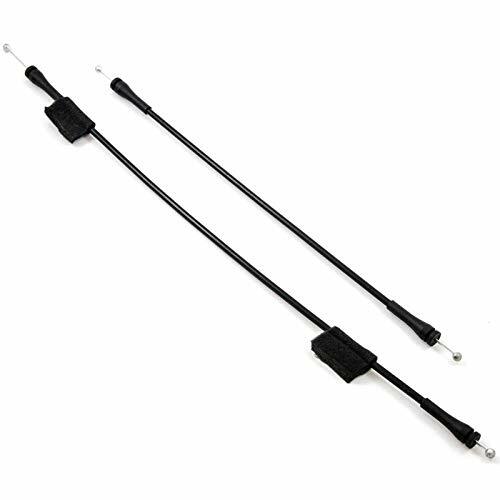 2003-2006 Hummer H2 Your search for the highest quality, best value replacement tailgate cables (pair) for your GM Silverado, Sierra, Avalanche, Escalade is over. Now that you've purchased the best aftermarket part you'll probably be excited to install the part immediately. However, pull the new tailgate cables out of the box and take a moment to notice the quality part that's in your hands. Note the fit and finish of a superior built part, a TruBuilt part, built to last & go the distance. You're holding a OEM supplier part that's built in a ISO 9001 certified factory & tested for reliability. Our OEM spec replacement tailgate supports are designed to provide maximum performance and durability while being budget minded. Rejoice at the way it fits and works perfectly like the original part. What separates T1A parts from others is quite simple, we're car guys who stand behind what we sell 100%. Your satisfaction & safety is our main concern. It starts with manufacturing, and ends with customer service. We have the most reliable factories & 30 years of automotive relationships and experience to rely on. Perhaps, that's why car people get excited about T1A parts. It's because of this that we're able to make a guarantee unlike any others & here it is: 100% Total Satisfaction Guarantee If you're not 100% satisfied with your purchase, send it back and we'll refund or replace your part. Full 12 month replacement warranty & 30 day money back. 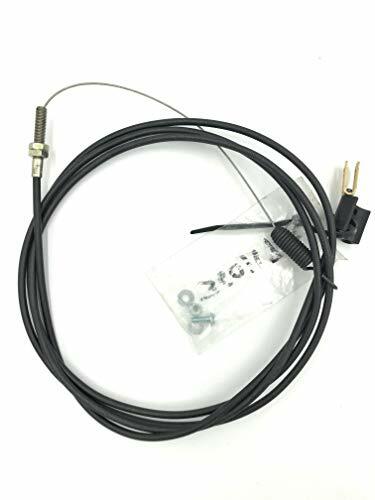 Includes 1 pair of left and right side 15 1/8" length tailgate cables for Chevy Silverado and Avalanche, GMC Sierra, Cadillac Escalade and Hummer H2. Replaces GM part number 16637944 16637945 88892972 88892973 88980509 88980510. Fits 99-07 GM trucks at a fraction of the dealer's price! Stress tested to guarantee long life and to ensure OEM fit, finish & increased rigidity. 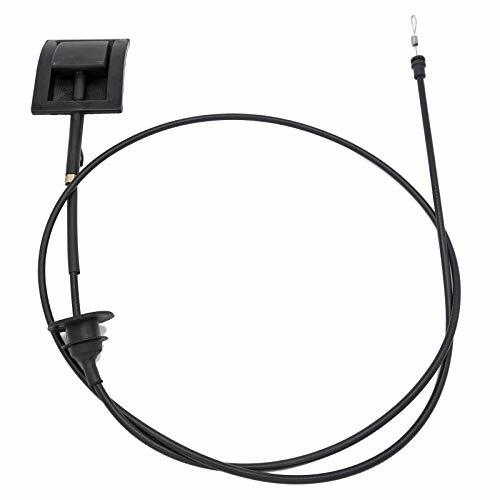 Every T1A direct fit replacement tail gate cable is backed by our industry leading 12-month warranty. If you are not 100% satisfied with your purchase, simply take advantage of our No Questions Asked, 30-Day Money Back Guarantee! 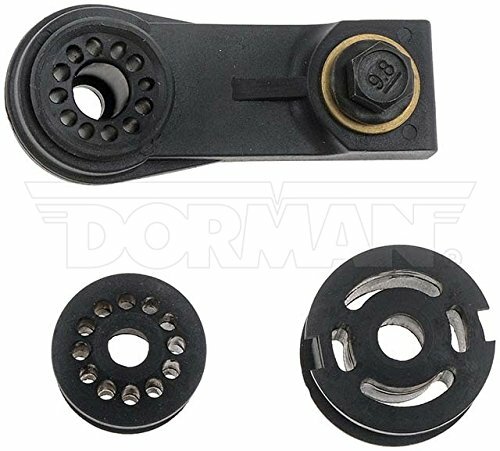 Length (bolt to bolt): 15.9"
Engineered for long-lasting durability, Dorman's Manual Trans Shift Cable Bushings effectively retain the cable to the shift linkage. In some applications, you can replace only the bushing instead of the entire cable assembly, saving time, money and labor. 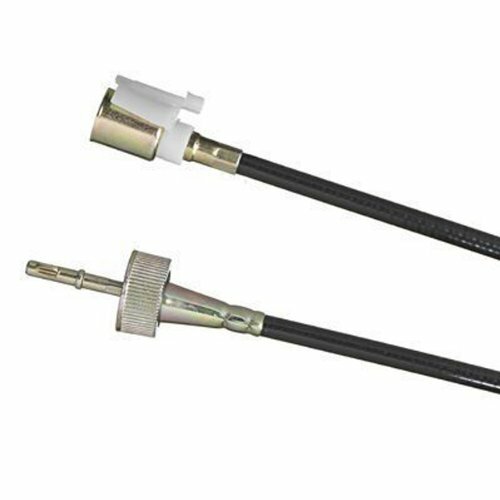 SKP's OE Replacement Hood Release Cables are an affordable, high quality alternative to expensive OE components - restoring your vehicle's functionality without the high dealer price. Engineered and manufactured to achieve exact OE fit, form, and function ensuring a no-hassle installation and exceptional long-term performance. 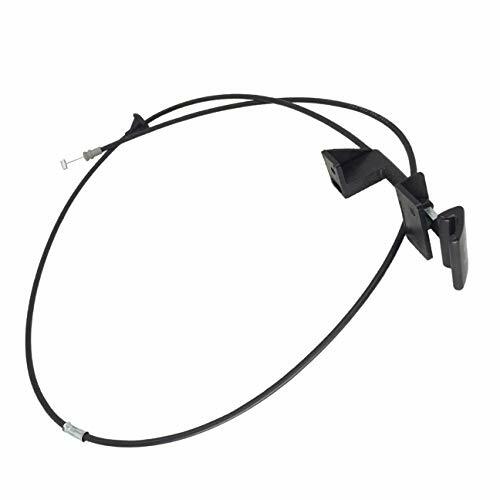 Rugged materials, precision manufacturing processes, and stringent quality control standards ensure our replacement hood release cables will meet or exceed your expectations. Fits select Cadillac vehicles: 02-06 Escalade; select Chevrolet vehicles: 02-06 Avalanche 1500/2500, 99-06 Silverado 1500/2500, 01-06 Silverado 1500 HD/2500 HD, 2007 Silverado 1500/2500 Classic/HD Classic, 01-06 Silverado 3500, 07 Silverado 3500 Classic, 00-06 Suburban 1500/2500, 00-06 Tahoe; and select GMC vehicles: 99-06 Sierra 1500/2500, 01-06 Sierra 1500 HD/2500 HD, 2007 Sierra 1500/2500 Classic/HD Classic, 01-06 Sierra 3500, 07 Sierra 3500 Classic, 00-06 Yukon, 00-06 Yukon XL 1500/2500. SKP Automotive manufactures only premium quality products that meet or exceed OEM standards. Engineered to be the best performing products on the market, from the initial forging process to the final packaging, every SKP replacement component benefits from our commitment to robust engineering, precision manufacturing, and rigorous testing standards. Our global volume, production capacity, and insatiable desire to produce only the best replacement auto parts in the marketplace, are complemented by our customer centric operating philosophy, positioning SKP Automotive as a preferred supplier to the automotive aftermarket. With rigorous testing programs, QC processes and a company-wide commitment to best practices, ISO 9001 certified SKP Automotive is dedicated to bringing you the premium quality replacement parts you want at a price you can afford. 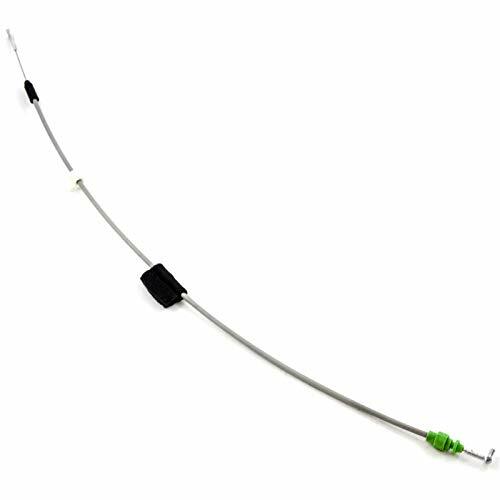 SKP's OE Replacement Hood Release Cables are an affordable, high quality alternative to expensive OE components - restoring your vehicle's functionality without the high dealer price. Engineered and manufactured to achieve exact OE fit, form, and function ensuring a no-hassle installation and exceptional long-term performance. 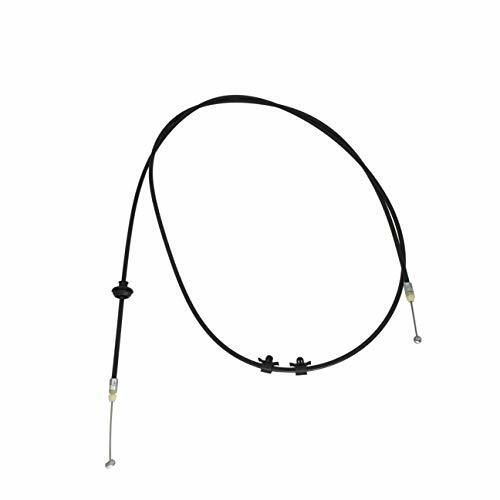 Rugged materials, precision manufacturing processes, and stringent quality control standards ensure our replacement hood release cables will meet or exceed your expectations. 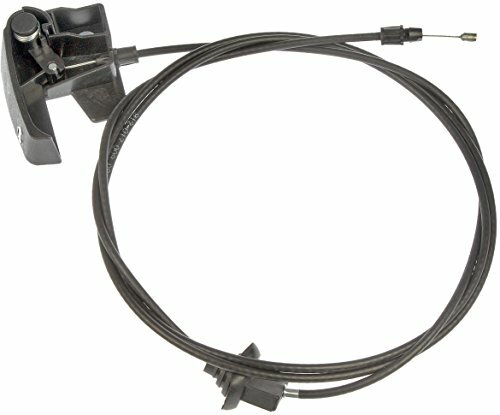 Fits 1999-2004 Honda Odyssey vans. Replaces OE No. 74130-S0X-A01. SKP Automotive manufactures only premium quality products that meet or exceed OEM standards. Engineered to be the best performing products on the market, from the initial forging process to the final packaging, every SKP replacement component benefits from our commitment to robust engineering, precision manufacturing, and rigorous testing standards. Our global volume, production capacity, and insatiable desire to produce only the best replacement auto parts in the marketplace, are complemented by our customer centric operating philosophy, positioning SKP Automotive as a preferred supplier to the automotive aftermarket. With rigorous testing programs, QC processes and a company-wide commitment to best practices, ISO 9001 certified SKP Automotive is dedicated to bringing you the premium quality replacement parts you want at a price you can afford. 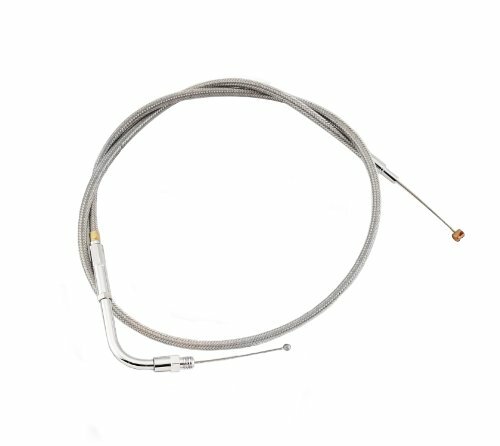 SKP's OE Replacement Hood Release Cables are an affordable, high quality alternative to expensive OE components - restoring your vehicle's functionality without the high dealer price. Engineered and manufactured to achieve exact OE fit, form, and function ensuring a no-hassle installation and exceptional long-term performance. 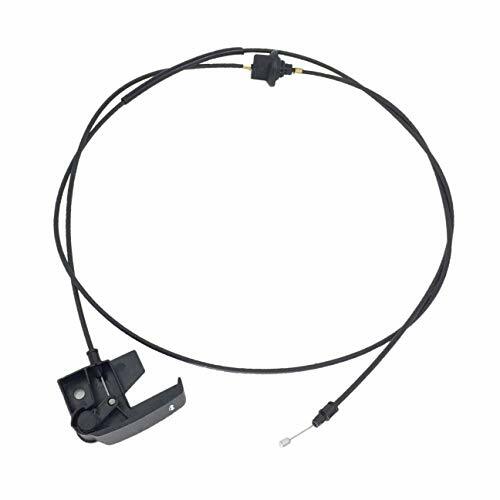 Rugged materials, precision manufacturing processes, and stringent quality control standards ensure our replacement hood release cables will meet or exceed your expectations. 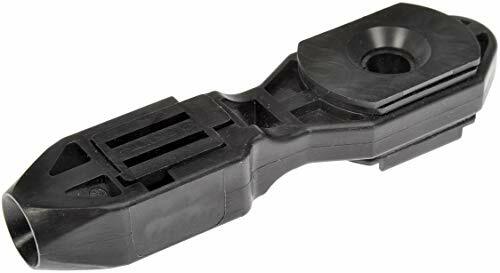 Fits 1993-98 Jeep Grand Cherokee vehicles. SKP Automotive manufactures only premium quality products that meet or exceed OEM standards. Engineered to be the best performing products on the market, from the initial forging process to the final packaging, every SKP replacement component benefits from our commitment to robust engineering, precision manufacturing, and rigorous testing standards. Our global volume, production capacity, and insatiable desire to produce only the best replacement auto parts in the marketplace, are complemented by our customer centric operating philosophy, positioning SKP Automotive as a preferred supplier to the automotive aftermarket. With rigorous testing programs, QC processes and a company-wide commitment to best practices, ISO 9001 certified SKP Automotive is dedicated to bringing you the premium quality replacement parts you want at a price you can afford. SKP's OE Replacement Hood Release Cables are an affordable, high quality alternative to expensive OE components - restoring your vehicle's functionality without the high dealer price. Engineered and manufactured to achieve exact OE fit, form, and function ensuring a no-hassle installation and exceptional long-term performance. 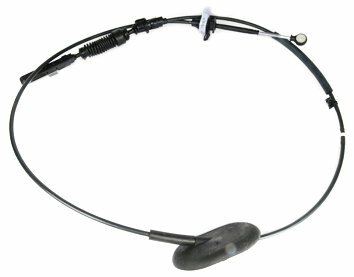 Rugged materials, precision manufacturing processes, and stringent quality control standards ensure our replacement hood release cables will meet or exceed your expectations. Fits 1987-96 Jeep Cherokee, 1987-92 Jeep Comanche, and 1987-90 Jeep Wagoneer vehicles. SKP Automotive manufactures only premium quality products that meet or exceed OEM standards. Engineered to be the best performing products on the market, from the initial forging process to the final packaging, every SKP replacement component benefits from our commitment to robust engineering, precision manufacturing, and rigorous testing standards. Our global volume, production capacity, and insatiable desire to produce only the best replacement auto parts in the marketplace, are complemented by our customer centric operating philosophy, positioning SKP Automotive as a preferred supplier to the automotive aftermarket. With rigorous testing programs, QC processes and a company-wide commitment to best practices, ISO 9001 certified SKP Automotive is dedicated to bringing you the premium quality replacement parts you want at a price you can afford.